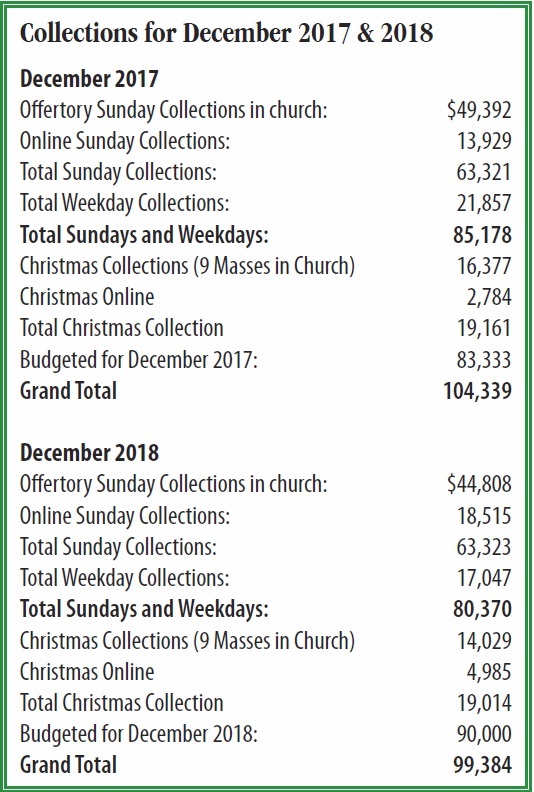 Below is a table comparing December 2017 collections to our current December 2018 collections. As you can see our collections this year were below last year. We ask all of our members and visitors to offer the equivalent of ONE HOUR of their weekly salary per week to support the mission of the church.